Yellow and Black Dotty Material. This is priced per metre. Yellow and Black Dotty Material. 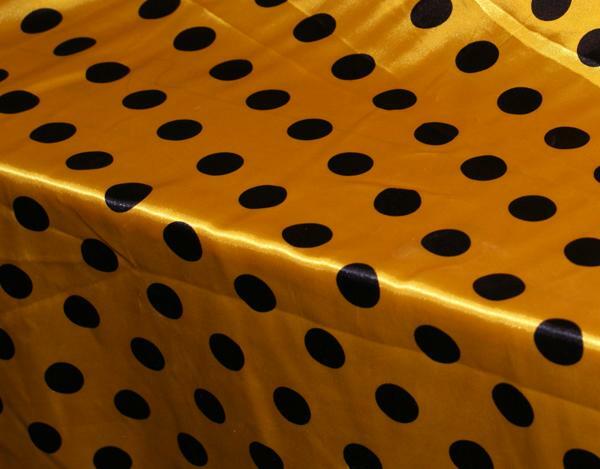 Our yellow and black dotty material makes a bold statement and can be seen from quite a distance. With the ability to order the size you require you can use this to make sashes, ribbons or anything else that takes your fancy.